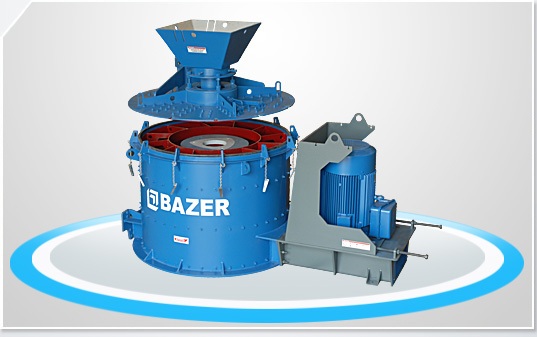 BHP is proud to introduce BAZER range of Vertical Shaft Impactor, which is built with an exclusive combination of Features that provide value, performance and durability. Hydraulic lid lifter. Rock-on-Rock, Rock-on-Steel and Steel-on-Steel configurations with combination of ports for excellent product gradations to suit different applications. Variable frequency drive for product control through speed variation.